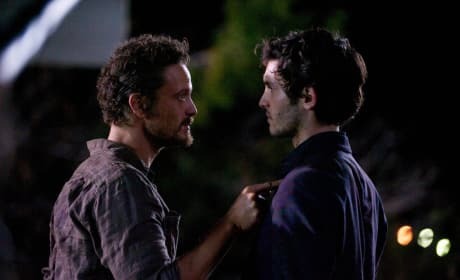 Aaron reconnects with an old friend on Revolution. "Happen Endings" is the 13th episode of the show's second season. This is a scene from "Mis Dos Padres." It's the 11th episode of Revolution Season 2. Gene convinces Rachel to help the town of Willoughby on Revolution. "Captain Trips" is the 12th episode of the show's second season. Monroe must fact a difficult decision concerning his son on Revolution. "Mis Dos Padres" is the 11th episode of the show's second season. Revolution Season 2 is in full swing. This is a photo from "Three Amigos." 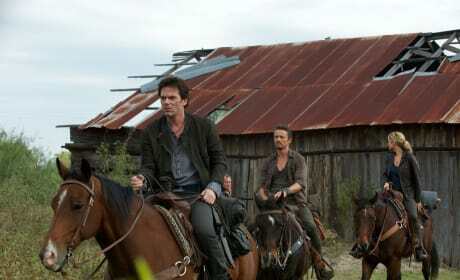 Miles, Monroe, and Rachel head south of the border on Revolution. "Three Amigos" is the tenth episode of the show's second season. Wait, don't shoot! 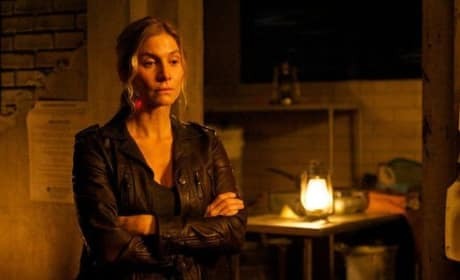 This is a scene from the Revolution episode "Everyone Says I Love You." 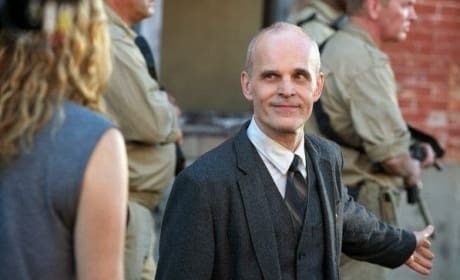 Things aren't looking good for Charlie on Revolution. "Everyone Says I Love You" is the ninth episode of the show's second season. This is a photo from "Come Blow Your Horn." 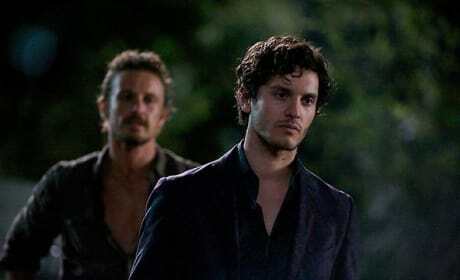 It's the eighth episode of Revolution Season 2. 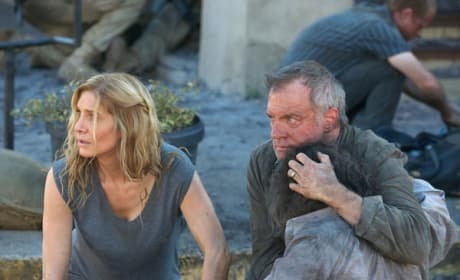 Rachel's relationship with Gene has an impact on Charlie on Revolution. "Come Blow Your Horn" is the eighth episode of the show's second season. Talk about a man who cannot be trusted. This is a photo from the Revolution episode "The Patriot Act." Rachel uncovers some unsettling secrets on Revolution. "The Patriot Act" is the seventh episode of the show's second season.